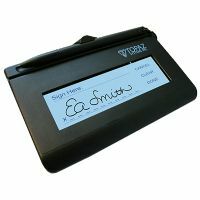 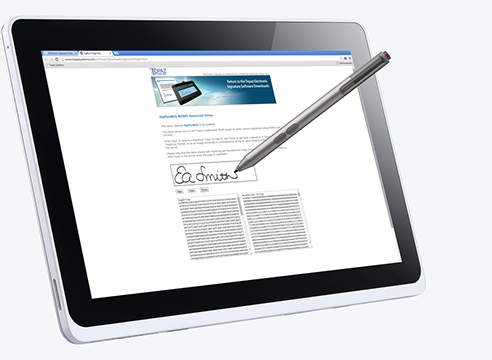 IDSL offer four basic types of electronic signature pads, as shown below. 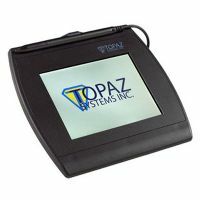 If you aren't sure which electronic signature pad is best for your business application, please contact us. 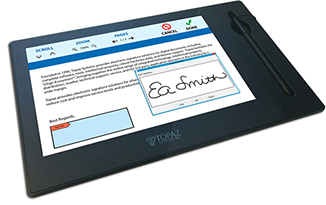 All of our signature pads are bundled with SigPlus® software tools, applications, plug-ins, examples, demos, and support at no extra charge. 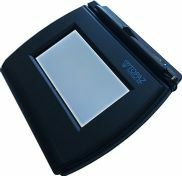 There are also full-colour models in both the toughened SignatureGem range and the touch-sensitive SigLite range. 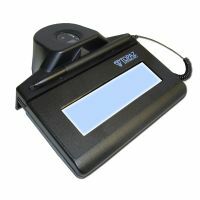 The LCD 1x5 and 4x3 series are available with a touch-sensitive SigLite sensor and stylus in place of the electromagnetic SignatureGem pen and digitizing surface.